How do you choose a great gym? Choosing the right gym is typically the first step of a fitness journey and a lifelong commitment to healthy living. But with so many options, how do you choose a gym? It’s no secret that there are places to exercise all around us. Not only are there countless places for exercise, but you’ll also find diet assistance, meal planners, self proclaimed weight loss experts, boot camps, and tons of boutique style gyms. So when the time comes to really make a decision for yourself, what are you supposed to do? In a way, shopping for a gym or health and fitness support is kind of similar to walking around New York and seeing that EVERYONE claims to have the “world’s best pizza”. It can be absolutely overwhelming trying to find the place you belong. Everyone thinks they are the best, but how on earth do you find what is right for you? Here’s the truth, and it’s not pretty; everyone thinks they can own a gym. Everyone thinks that being a trainer is easy and you can make money by doing very little. (That one cracks me up almost to no end each time that I hear it.) Just because you “like to workout” or “have good (in your opinion) eating habits”, doesn’t mean you are destined to own or work for a business that focuses on exercise or nutrition. For whatever reason many people think that fitness is an “easy” business. Again, that’s just laughable. Just because you see trendy exercises advertised, alien looking equipment, and fit smiling girls in sports bras, doesn’t mean it’s the right place for you. When you are on the prowl for a gym that is right for you, I want you to ask yourself these 5 questions at each location you are considering. Does this gym seem to only care about my money? Do the employees look genuinely happy to talk to me when I walk in the door? Can I see myself doing more here than just hiding away on the treadmill? What are the reasons this gym is successful and enjoyed by the members? Does this gym have the morals I would expect a gym to have or are they even better? Do the employees have the proper education and credentials to give me the help I need? 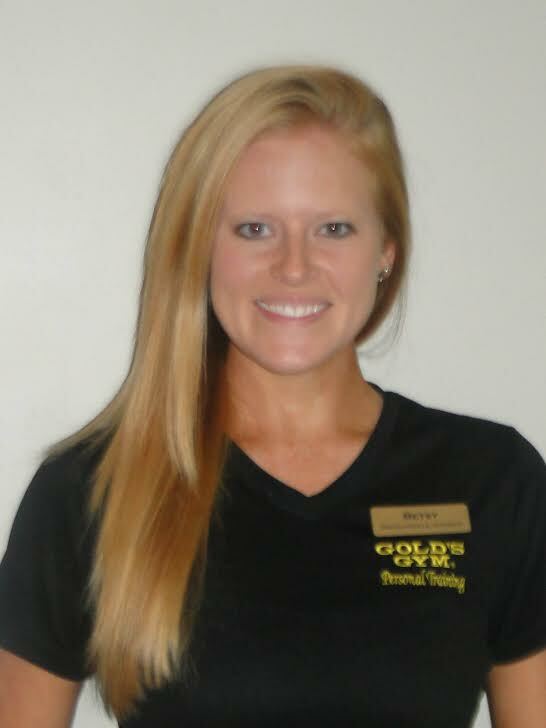 I work for the Gold’s Gyms of West GA because I am proud of what they stand for. That is one of the main reasons we have been in business for over 30 years and have members that have been with us since day one. You’ll also notice that if you look back through newspaper articles, local magazines, or even just our social media, that we have many of the same faces still working with us today. Rarely will you hear me talk about being the daughter or granddaughter to the owners of the Gold’s Gyms of West GA. First of all, it’s not going to get me VIP access to nightclubs or special discounts at TJ Maxx, so I don’t ever feel the need to “name drop” for my benefit; I don’t particularly even like attention. I enjoy having my own identity and my own reputation through the gyms. Yes, I have ties to these gyms because of my family, but what keeps me here is the relationships developed through the years and seeing the evolution of so many lives. The Gold’s Gyms of West GA are proud of who they are in the community, what they can offer, and how for over 30 years they haven’t followed the masses. We aren’t going to dangle shiny bait in front of you and reel you in our doors just to get your hard earned money and leave you hanging. I promise you that if you walk into any of our 3 gyms, you will immediately be made to feel comfortable, cared about, and excited to start your journey toward a healthier and happier way of living.